Josh Brolin is apparently not content with starring as one iconic Marvel Comics character in 2018. Less than a month after his already legendary role of Thanos in the history-making blockbuster Avengers: Infinity War, Brolin will punch superheroes again on screen as Cable in Deadpool 2. The villain — or anti-hero, more likely — is apparently so formidable that Deadpool can't take him on alone in the new film and has to put together a super team, but what is it that makes the bad guy so tough? What are Cable's powers in Deadpool 2, exactly? Cable is a bit of an odd character, to say the least. Created in 1990 by Louise Simonson and Rob Liefeld, the latter of whom also co-created Deadpool the following year, Cable is a warrior from the future. He's not just any warrior, however, but the time-traveling adult son of the X-Man Cyclops and Madeline Pryor, a clone of Jean Grey. It's unclear if Deadpool 2 will keep this origin for the character, since the Deadpool franchise sort of lives within its own world, but it wouldn't be surprising to have Deadpool reference Cable's parentage in some way. So since he is the son of two powerful mutants, Cable is also a very powerful mutant himself, though he traditionally has not relied on his powers very often. As a mutant, Cable — AKA Nathan Summers — was born with superhuman abilities. In his case, he has the powers of telepathy and telekinesis, meaning he can both communicate and move things using only his mind. But for the bulk of his comic book history, Cable was unable to use his powers due to suffering from a techno-organic virus — he constantly used his powers to keep the virus from spreading. The virus replaces his organic tissue with bionic parts, and although it prevents him from using his mutant powers to their full extent, it grants him other abilities. For instance, his metal left arm is considerably stronger than his non-metal right arm, and his glowing left eye is cable of superhuman vision. In addition to his powers — both mutant and cybernetic — Cable is also a soldier from the future. This means he has access to advanced technology, like time travel, teleporting devices, and advanced weaponry. In fact, the character is almost always seen holding a huge gun — probably because he was created in the '90s when that was a major trend in comics — and tends to favor the use of weapons over his powers. He is a highly-trained warrior — so trained that his musculature is one of the most absurd in all of Marvel Comics — and is skilled in all forms of weaponry, military strategy, and hand-to-hand combat. Skill-wise, he is likely one of the best fighters in the Marvel Comics universe. As of this moment, it's not clear how much of Cable's comic book abilities will make it into Deadpool 2. So far, it's known that the character is from the future, has a glowing left eye and metal left arm, and seems to have a propensity for guns. He also, at least based on the movie's most recent trailer (above), does appear to exhibit some telekinesis, as he's seen levitating a gun from the floor into his hands at the 1:16 mark of the video. 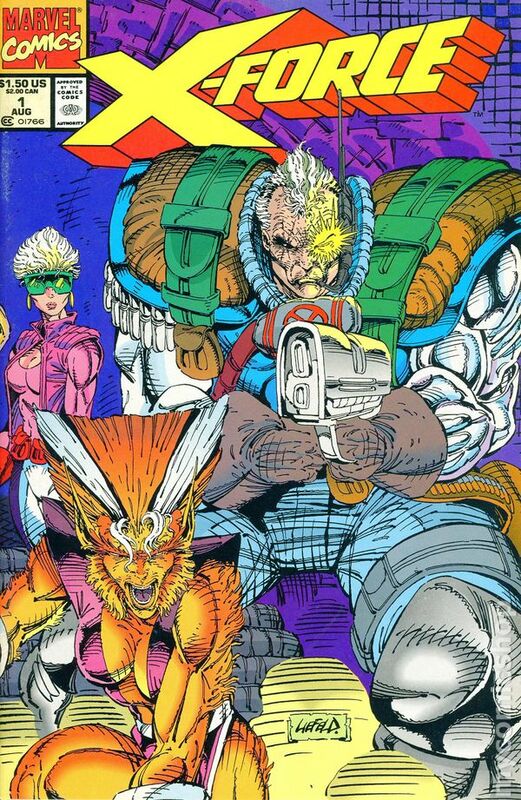 Cable's combination of mutant psychic abilities derived from his X-Men parents, cybernetic enhancements, advanced weaponry, and training and experience as a warrior, all add up to one seriously tough dude. So it's no wonder Deadpool needs to assemble an entire team made up of Domino, Shatterstar, and other heroes to take him on in Deadpool 2, but even then, it may not be enough to stop the powerful anti-hero.